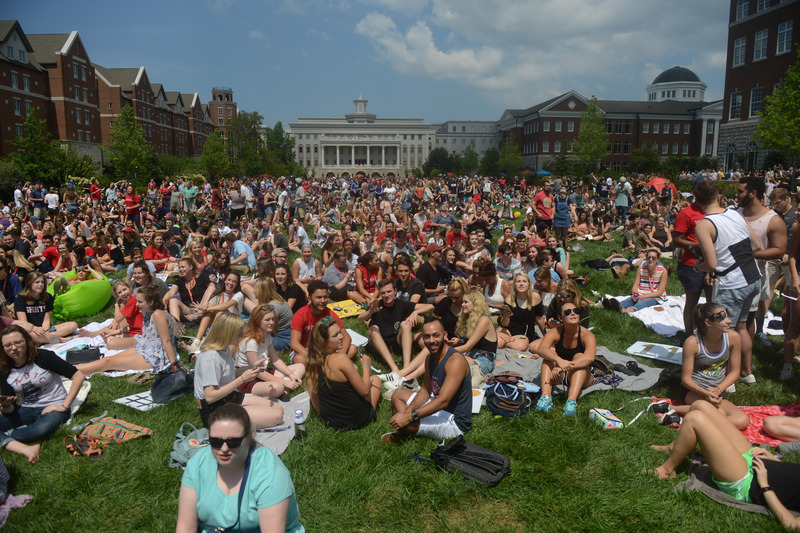 The Eclipse Experience at Belmont University in Nashville, Tenn. August 21, 2017. Following an extensive nationwide search, Belmont University announced today that Dr. John Delony, current associate academic dean for student life for the Texas Tech University School of Law, is being named associate provost and dean of students, effective May 1. In his new position, Delony will serve as Belmont’s chief student affairs officer and will work in collaboration with the provost to foster and sustain a student-centered living-learning environment. Delony will oversee a division of more than 50 professional staff members representing a variety of student-service areas including Residence Life, Health/Counseling/Support Services, Fitness and Recreation, Multicultural Learning & Experience and Student Activities, among others. In addition to holding a doctorate of higher education administration from Texas Tech University, Dr. Delony is currently completing his dissertation on a second doctorate in counselor education and supervision. In 2013, he completed the Higher Education Management Development Program through Harvard University’s Graduate School of Education. He also holds a master’s in higher education administration from Texas Tech as well as a bachelor’s in humanities/psychology from Lubbock Christian University. At the Texas Tech School of Law, Delony served as the dean of students and liaison to the broader University Campus Life Office. He chaired the Student Support and Emergency Team, assisted with strategic planning for the School of Law, advised the Student Bar Association and served on a variety of committees, on top of his stated duties. His efforts resulted in numerous awards and recognitions, including the Texas Tech University Distinguished Staff Member Matador Award, the Life Changer Award from the Student Bar Association and the Award of Excellence from the Black Law Students Association. Prior to Texas Tech, Delony held student affairs positions at Abilene Christian University and Lubbock Christian University. He is a level one certified Civil Rights/Title IX Investigator through the National Center for Higher Education Risk Management/Association of Title IX Administrators program. He has also been certified in Critical Incident Stress Management and Behavioral Intervention Team Best Practice. Throughout his career Dr. Delony has also taught graduate and undergraduate courses on a variety of higher education, counseling and organizational leadership topics.